Well, maintained brick home located in a well established quiet neighborhood on a dead end street. Home sits on a large, level .454 acre lot with beautiful mountain views from the living room and covered front porch. The 4BR 2 full bath home which features almost 1500 sq. ft. of living space and is move in ready, has beautiful hardwood floors (the living room has carpet but has hardwood floors underneath), custom cabinetry, washer and dryer on the main level and in the basement(both sets of washer and dryers convey), heat pump, a large two car garage/workshop, outbuilding, partial walk-out basement Home also features two functional fireplaces. 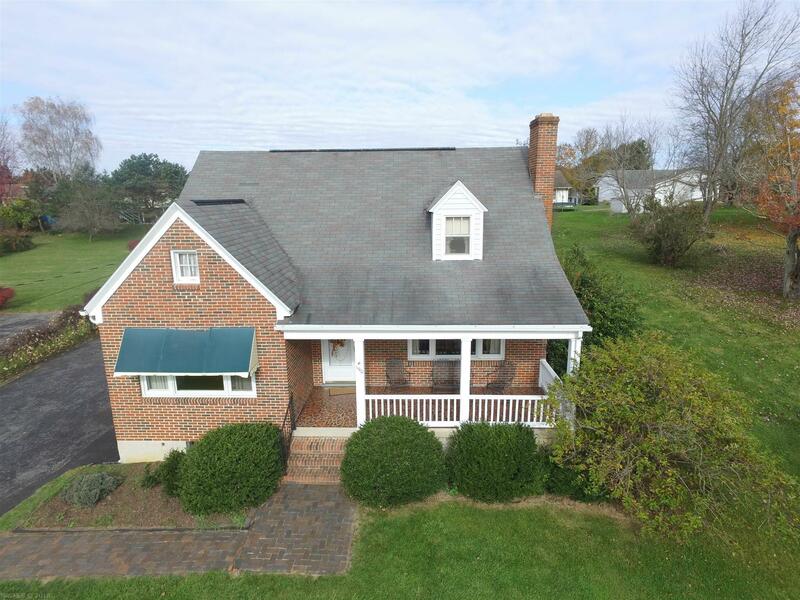 This home is in close proximity to shopping, medical facilities and downtown Wytheville. Lots more to see- make an appointment today!